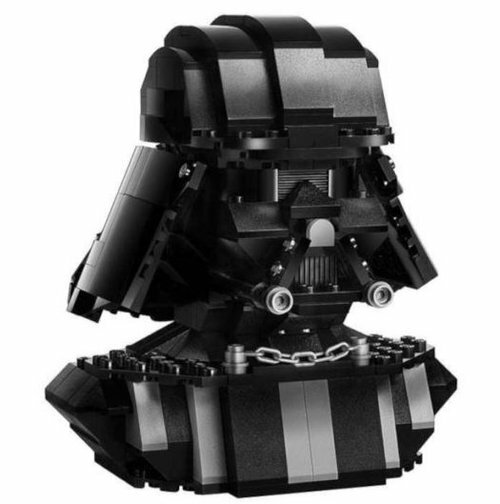 With 600, according to an official LEGO representative, of the exclusive 75227 Darth Vader Bust sets sold to lottery winners today - and even more expected to get snapped up over the peak Friday and Saturday period it's important to remember that this set is not a limited edition exclusive and will be available through other sources. That's not a reference to eBay.com - where sets bought today for $39.99 are already being listed at more than triple their orginal purchase price - but Target. In a slight calendar adjustment from the original release date of April 11th, this commonplace retailer will have these available from April 15th. The set will be available to REDcard members and can only be ordered through the Target website when it gets posted next Monday. As an added bonus to those who can hold out, the box art - we are told by LEGO - on the one available at Star Wars Celebraiton 2019 Chicago is exactly the same as the one that Target will stock.